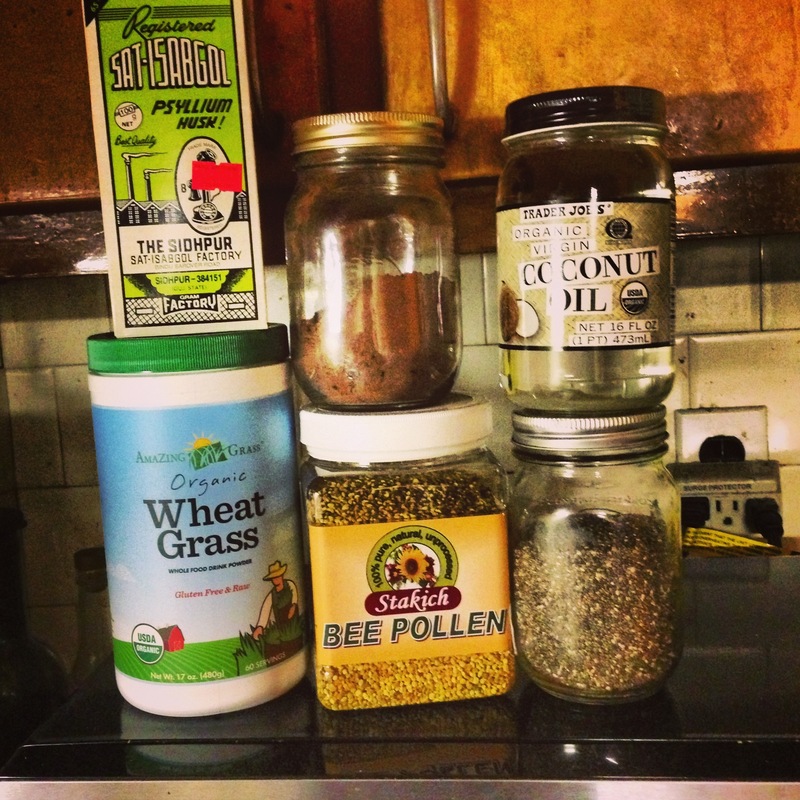 Featured here is coconut oil, bee pollen (which tastes incredible and amazing and its production doesn’t harm bees! ), psyllium husk (which is great to make sure your digestive system is in tip top shape and awesome to use in gluten free baking), raw cacao powder (great smoothie addition especially with bananas and peanut butter), wheatgrass powder (new addition, will let you know how much I love it after I use it more) and my go to protein after a tough yoga class, chia seeds, which is awesome for puddings and thickeners in baking, egg replacements in baking, or smoothies. 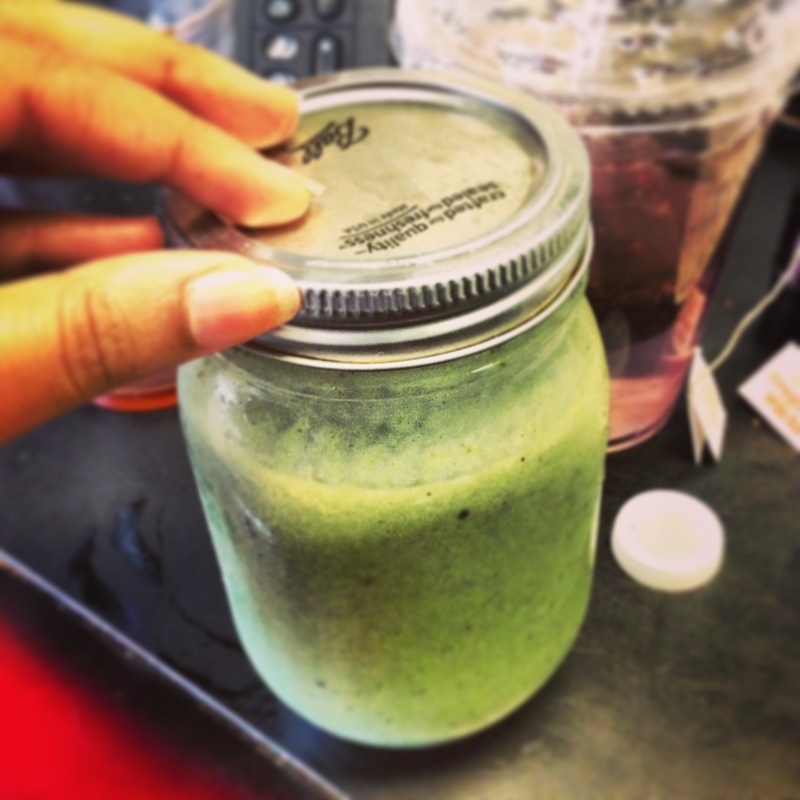 What’s your favorite superfood and why? Cook popcorn according to package directions. Top with cinnamon, brown sugar and sea salt. Check out an awesome cashew milk tutorial like Kate’s from Cookie and Kate to have some cashew milk on hand in the fridge! This keeps cold for hours too so this is even better for me who is always on the go! Know what you’re putting into your body. I hope everyone had a good Memorial Day Weekend! I know I did, and it was that much harder coming in to work today. But a day off in the beginning of the week means the weekend is that much closer. I meant to send a package of goodies over to my friend, and I did a great job with her letter but I am still figuring out the perfect dessert that flies well. Let me know what you guys think and if you have any suggestions! 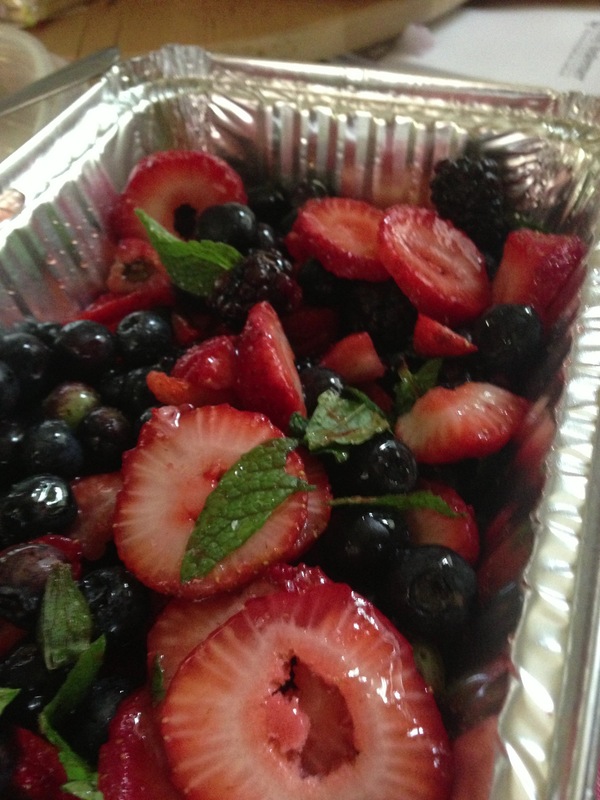 The perfect summer berry salad with pink himalayan salt and neem honey drizzle. I am sure that I am not the first one to combine salt and fruit together, but the ingredients were on my shelf and I knew there was no going back. Salt makes sweet taste sweeter. I guess you could apply that to life as well. I am sure This was also a hit at the BBQ I went to yesterday with some old friends and a good catch up session. I tried veggie hot dogs for the first time and I was very impressed. There was great company and there was good wine. Try to use organic honey and organic berries. Wash berries and pat dry. Add honey to taste and mix, top with mint leaves and salt. Mix well and serve. This salad gets better the longer you let the salt break down the berries. Good for a day or two. Can be made vegan if you sub agave for the honey. This is such a great invention. Who doesn’t like dessert that you don’t have to bake and takes 15 minutes or less to plop into a bowl and forget about in the freezer? 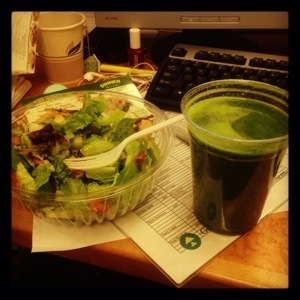 I got the base recipe from a great site called, Detoxinista.com. Check out her recipe for basic almond butter freezer fudge! I started out with that and it was deliciously smooth, creamy, amazing goodness in a small chunk. In a bowl, combine all bolded ingredients. In a baking pan or dish (I used a loaf pan because my freezer was packed), line with enough wax paper that the sides are covered. This will make it so that you can lift the frozen fudge out of the freezer and slice into your desired thickness. Pour mixture into the wax paper. Add toppings if desired, but it is great all on its own as well! Freeze 2 hours or until solid. Don’t you also love work places that deliver on late nights?